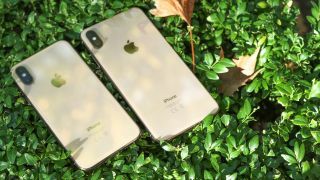 Today is the big day - you will soon be getting your iPhone XS, iPhone XS Max or Apple Watch 4 if you've already pre-ordered, plus you'll now be able to buy them from your local Apple store. If you've already pre-ordered your phone, you should find it'll arrive later today. Some have found their pre-orders have been delayed until September 24, but if that's the case you'll have been notified by now. Not pre-ordered? You can always head down to your local Apple Store to buy either of the phones or the newest Apple Watch when the stores open wherever you live. Be warned, there is the chance the products have already sold out. You also won't be able to buy the iPhone XR yet as it's set to open pre-orders on October 17 and you'll be able to buy it from October 26 as well.